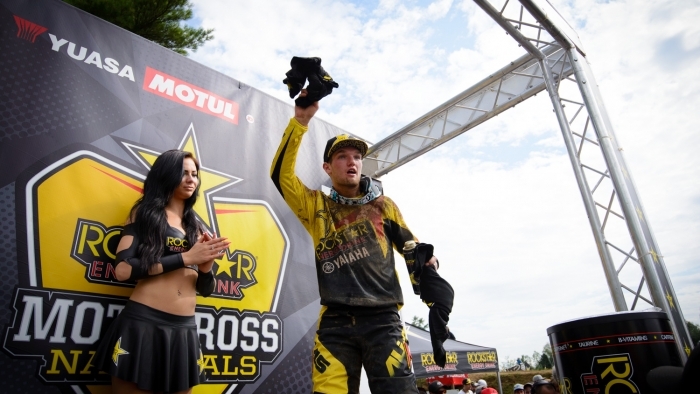 Rockstar Energy Drink OTSFF Yamaha’s Shawn Maffenbeier took the highest honours for the team at Round 7 of the Rockstar Energy Drink Motocross Nationals at Motocross Deschambault in Deschambault, QC this past Sunday. The Saskatchewan native battled his way into third overall on the strength of 6-3 motos aboard the potent YZ250F in the MX2 title hunt, strengthening his hold on third in the points and closing the gap on second. In MX1 Bobby Kiniry and Kyle Chisholm didn’t quite fare as well. Although Chisholm finished top ten, recording sixth overall, thanks to 5-6 results, Kiniry suffered a first moto DNF and finished seventh in moto two, claiming 14th overall … and this despite nailing both holeshots.